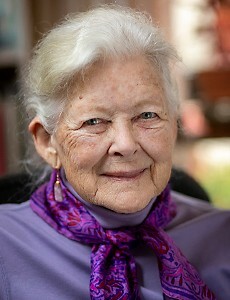 An epidemiologist specializing in injury prevention, Professor Baker was the first director of the Johns Hopkins Center for Injury Research and Policy. Her research includes motor vehicle occupant and pedestrian deaths among children and adults; fatalities related to aviation, motorcycles, and heavy trucks; carbon monoxide poisoning; drowning; childhood asphyxiation; housefires; falls in the elderly; homicide; suicide; fatal occupational injuries; and injury severity scoring. She is well known for developing the widely used Injury Severity Score and for authoring the Injury Fact Book. She is a licensed private pilot. She served on the Armed Forces Epidemiological Board in 1996-2000. She held joint appointments at the School of Medicine, in the Departments of Pediatrics and Emergency Medicine. Professor Baker is an ardent advocate of policy changes that will prevent injuries. Much of her teaching and research is designed to influence the legislators, administrators, media representatives, and others whose decisions can determine the likelihood of injury for thousands of people. Association for the Advancement of Automotive Medicine (AAAM) President 1974-75; Named "Bad Guy of the Month" by Road Rider Magazine for efforts promoting motorcycle helmet laws. American Association for the Surgery of Trauma, Honorary Fellow, 1988-. Honorary Doctor of Science Degree, University of North Carolina at Chapel Hill, 1998. Doctor of Humane Letters, Johns Hopkins University, 2016. Her publications include eight textbook chapters, more than 250 articles in medical and public health journals, magazine articles for the general public, and three books -- The Injury Fact Book, Saving Children: A Guide to Injury Prevention, and Injury Prevention: An International Perspective. Her work has been featured in JAMA, the New England Journal of Medicine, Aviation, Space, and Environmental Medicine, and Scientific American. Cook A, Weddle J, Baker S, Hosmer D, Glance L, Friedman L, Osler T. A comparison of the Injury Severity Score and the Trauma Mortality Prediction Model. The journal of trauma and acute care surgery 76 (1), 47-53, 2014. Baker SP, Hu G, Wilcox H, Baker TD. Increase in suicide by hanging/suffocation in the U.S., 2000–2010. Am J Prev Med 2013 Feb;44(2):146-9. Haaland WI, Shanahan DF, Baker SP. Crashes of sightseeing helicopter tours in Hawaii. Aviat Space Environ Med 80:637-642, 2009. Brooks CJ, MacDonald CV, Baker SP, Shanahan DF, Haaland W. Helicopter crashes into water: warning time, final position and other factors affecting survival. 2013. ASEM, in press. Baker SP. Motor vehicle occupant deaths in young children. Pediatrics 64:860-861, 1979.